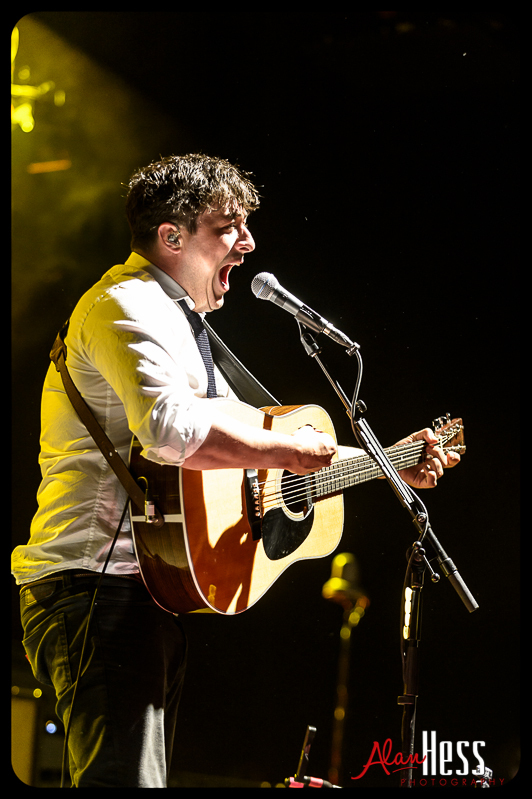 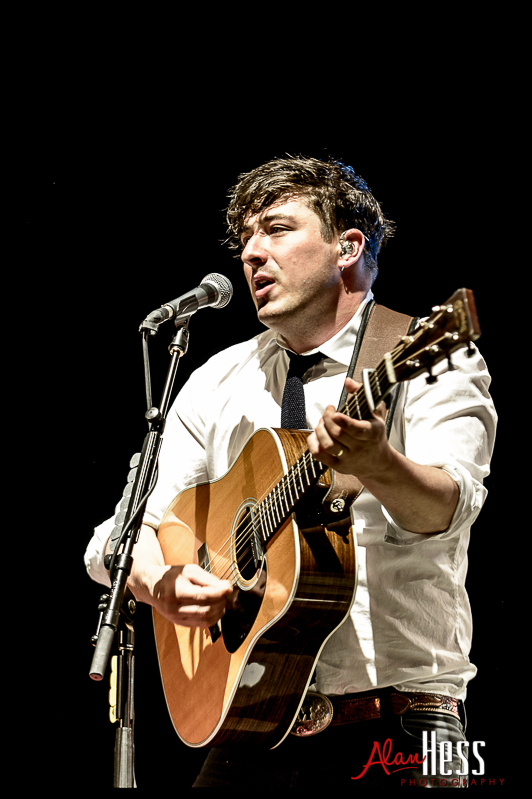 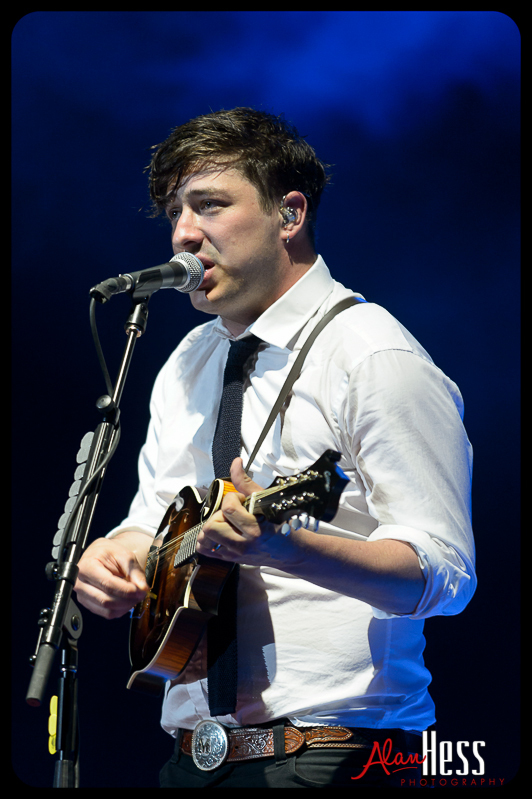 Unless you have been living under a rock for the last year, you have heard of Mumford & Sons. 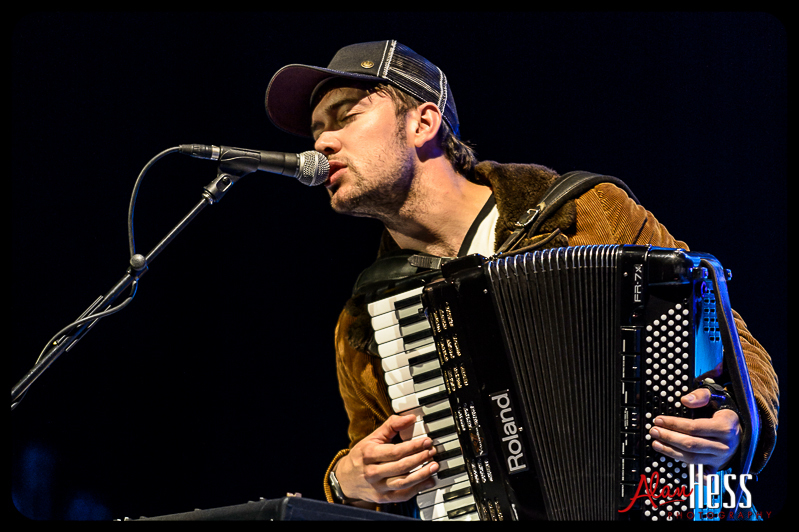 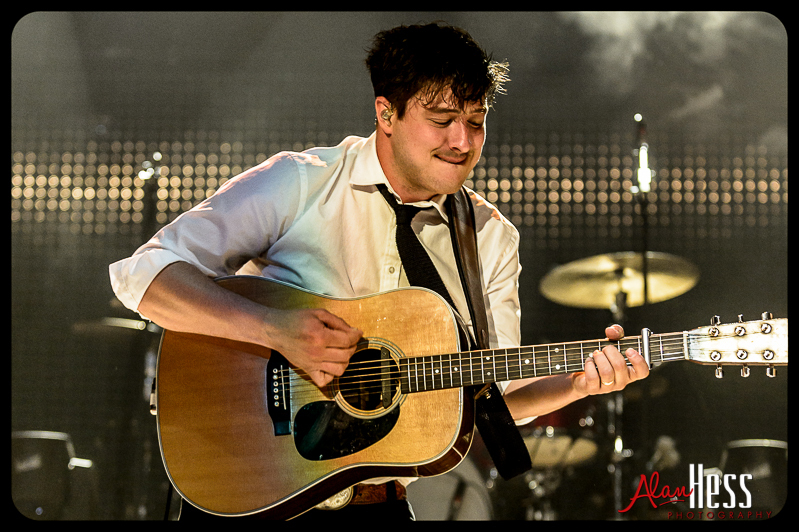 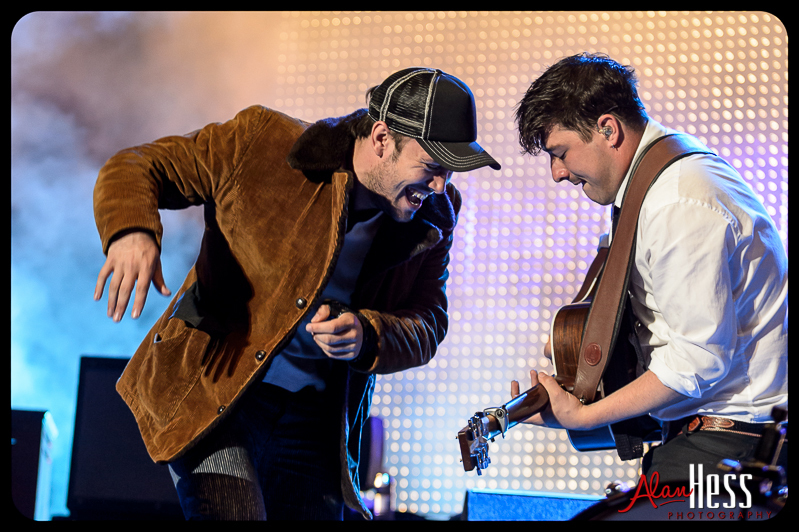 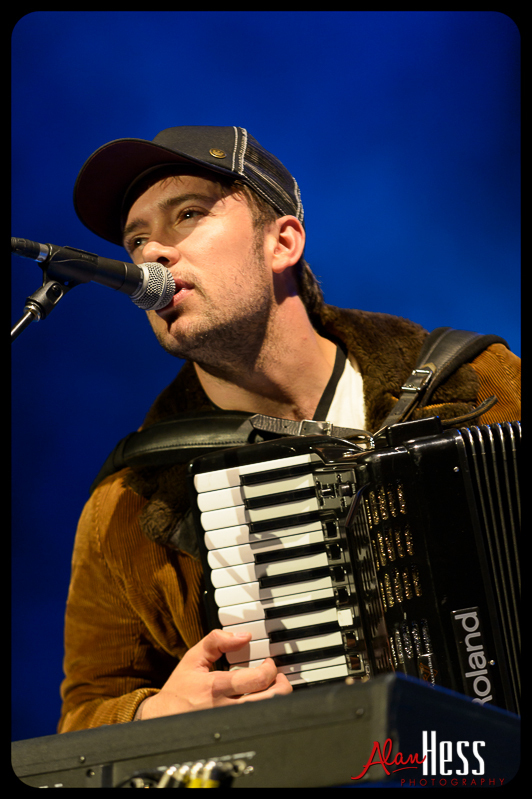 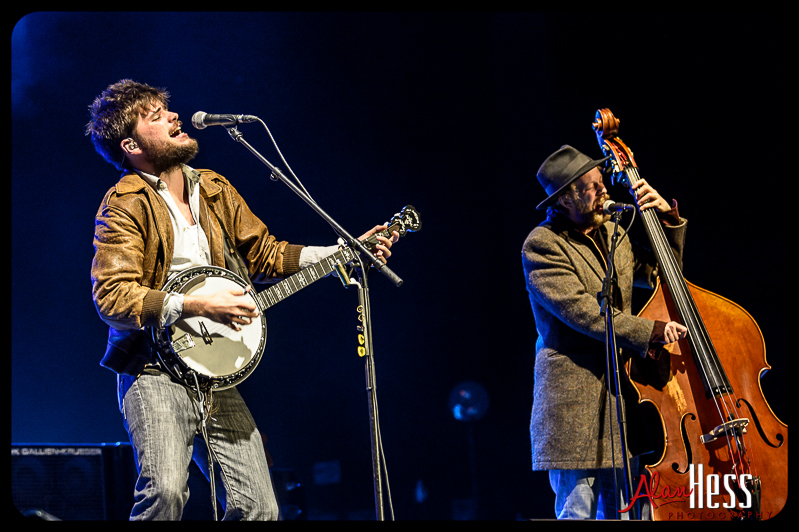 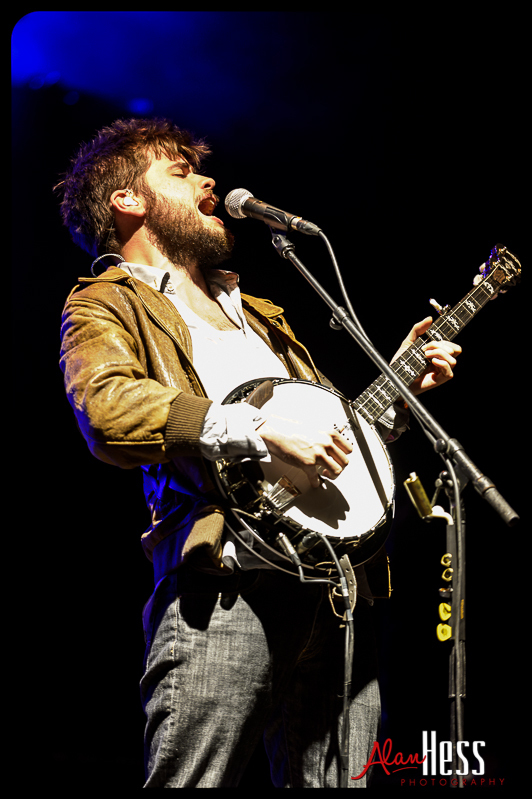 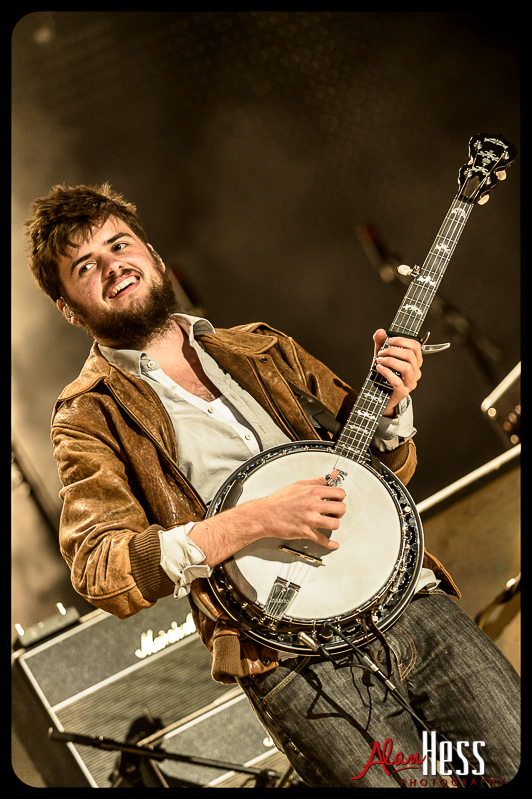 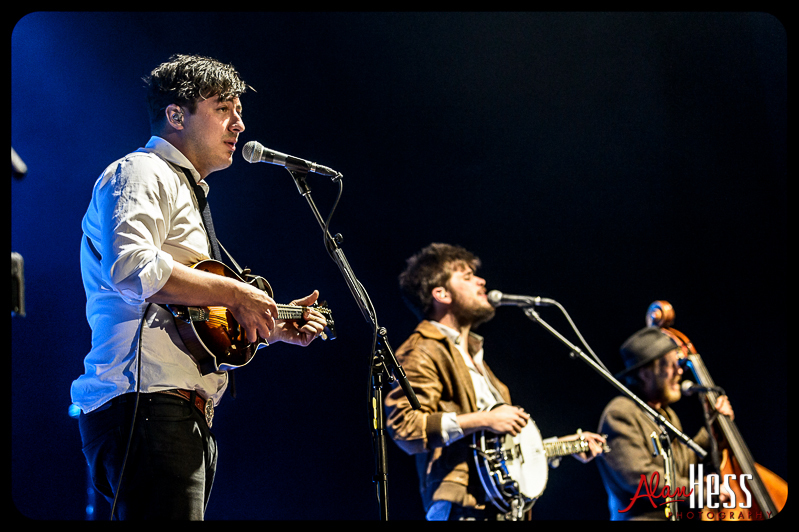 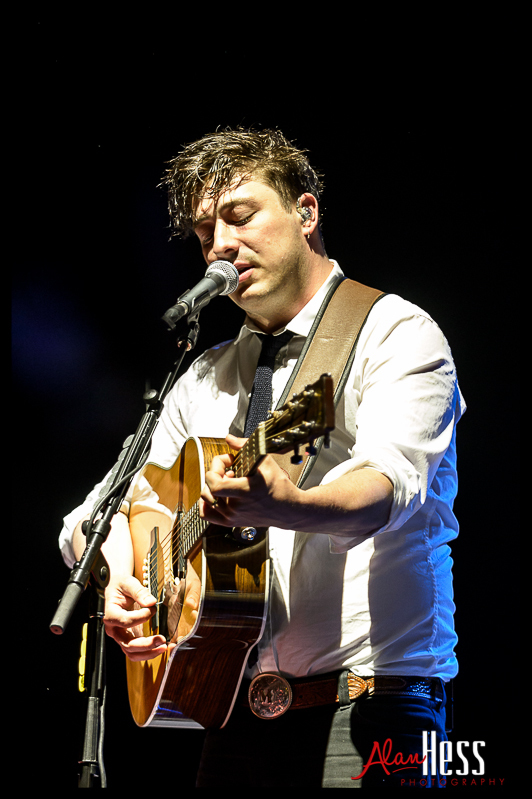 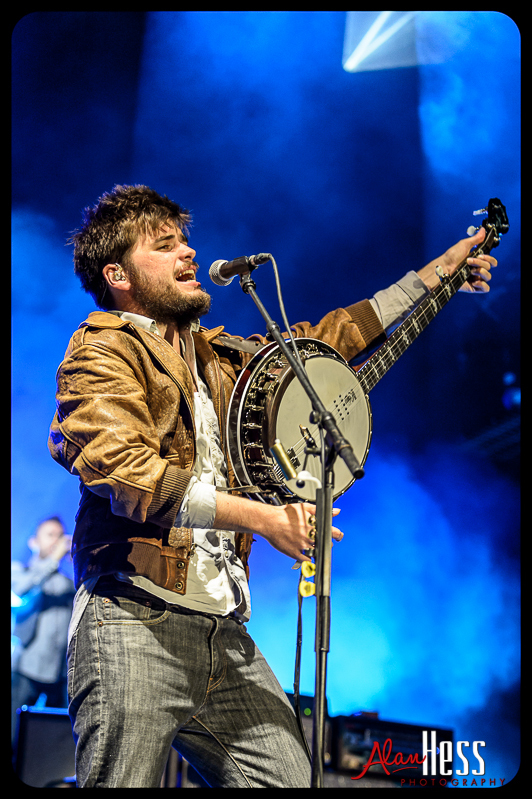 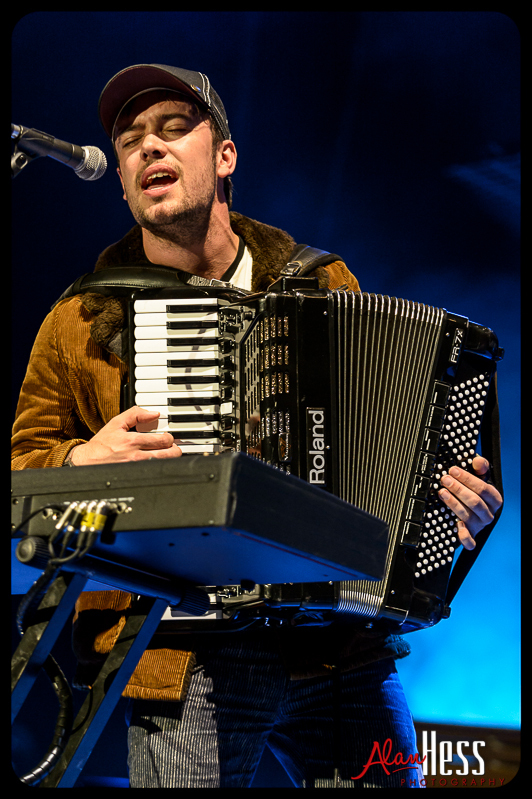 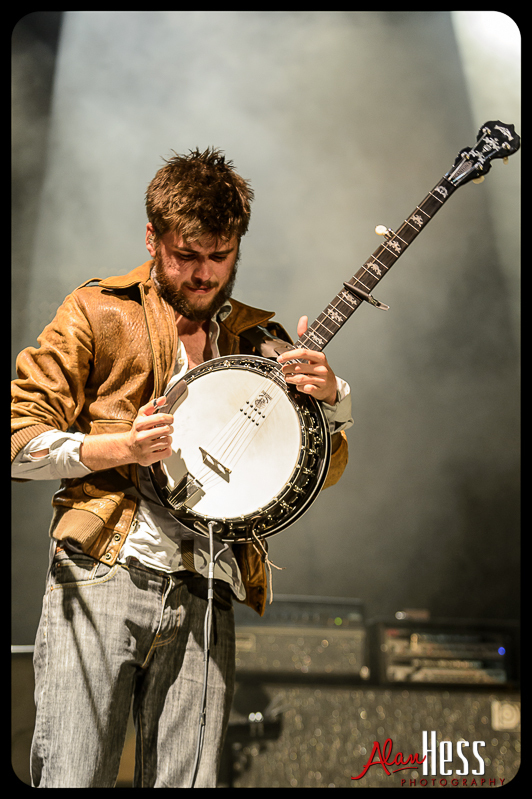 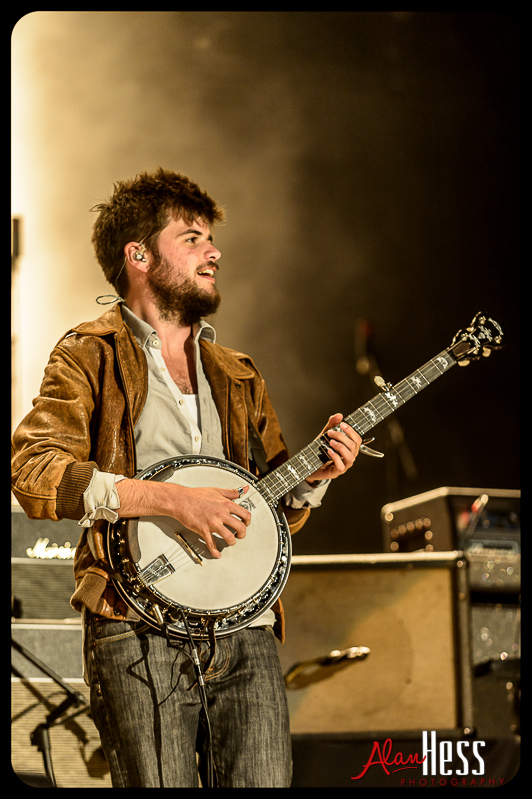 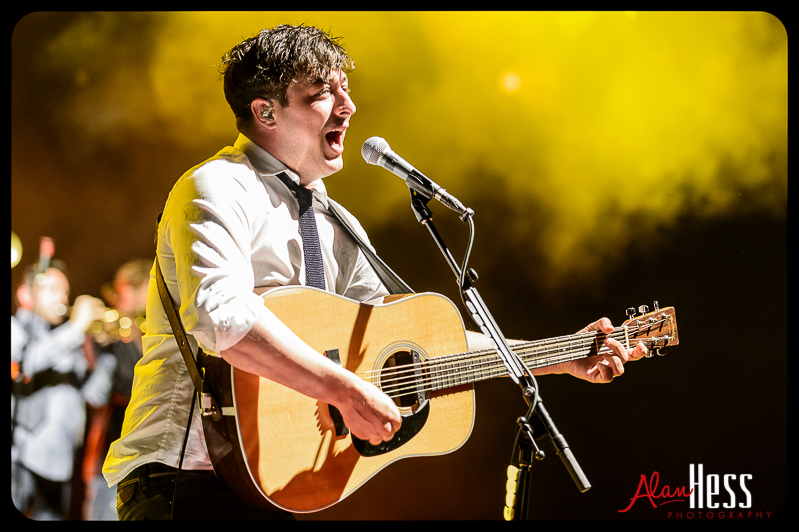 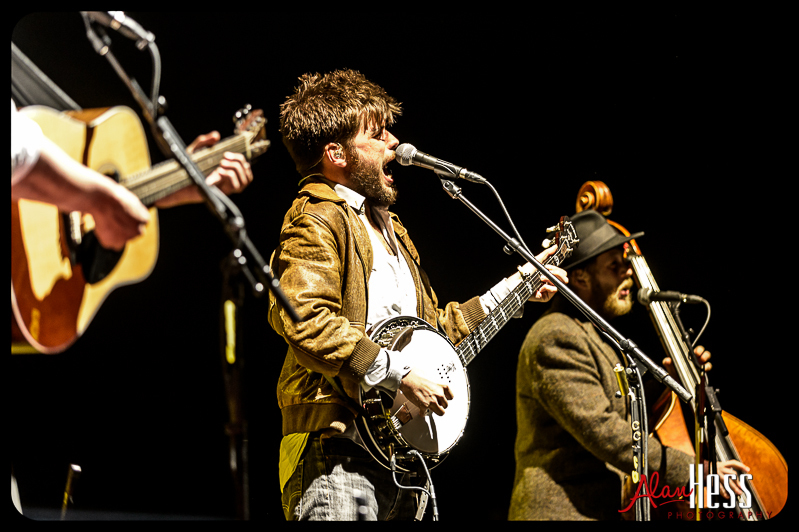 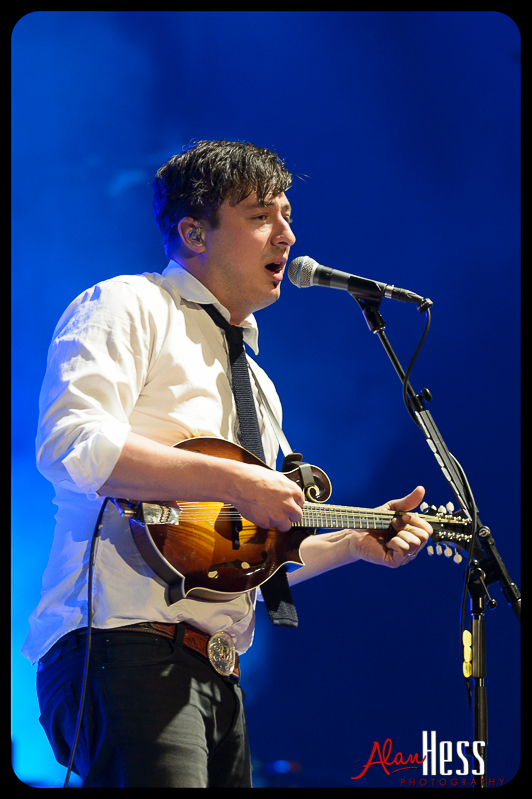 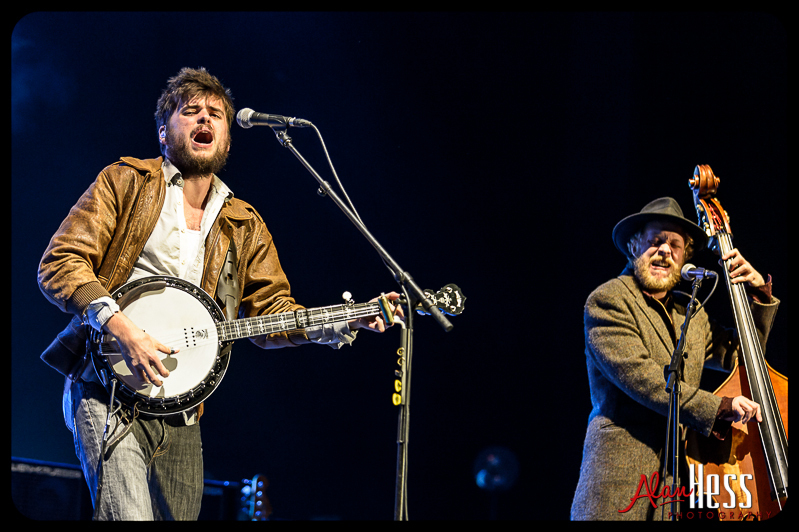 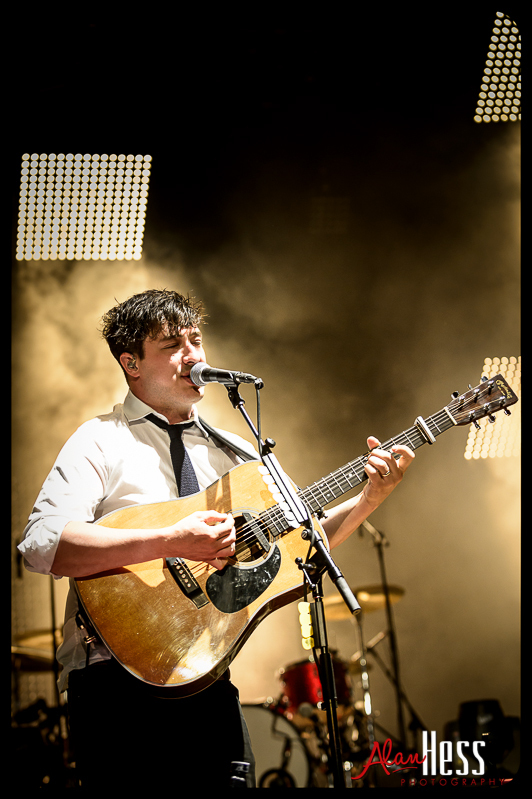 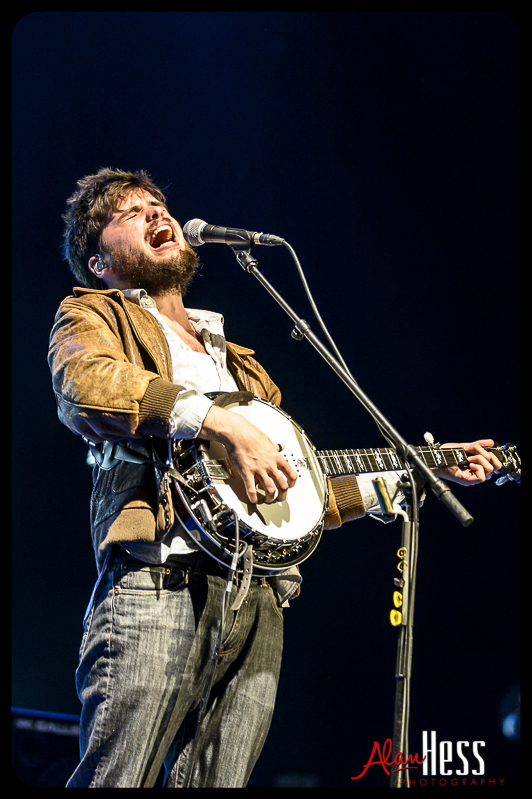 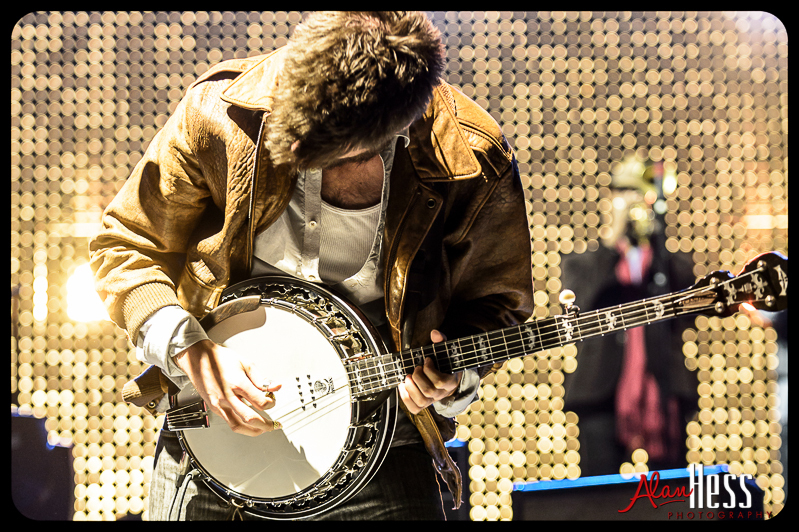 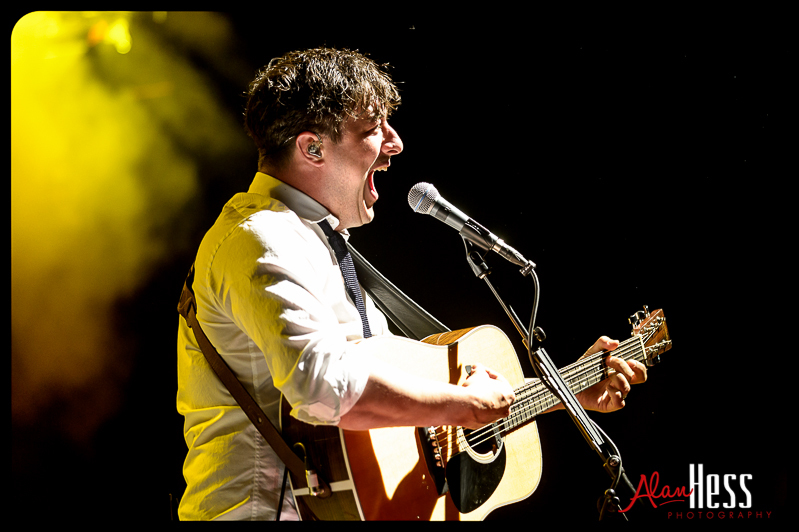 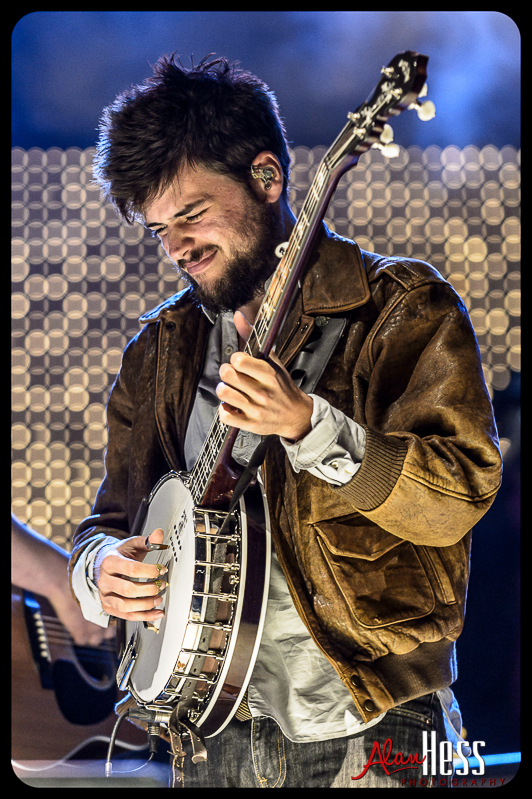 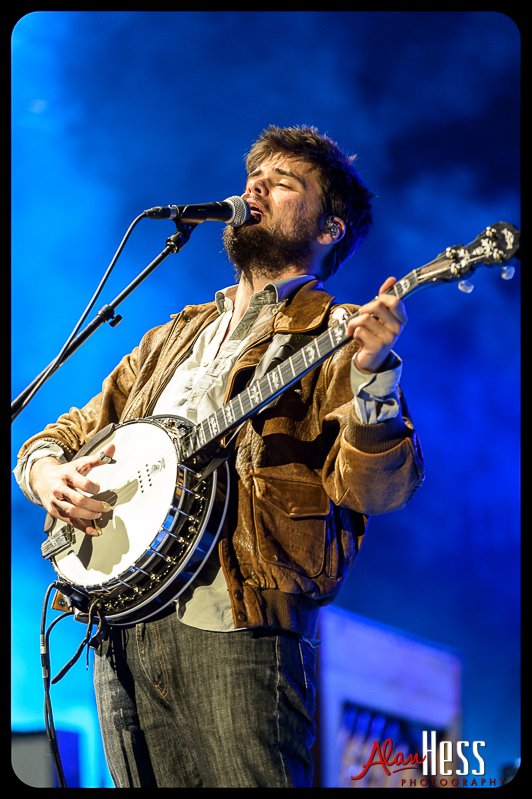 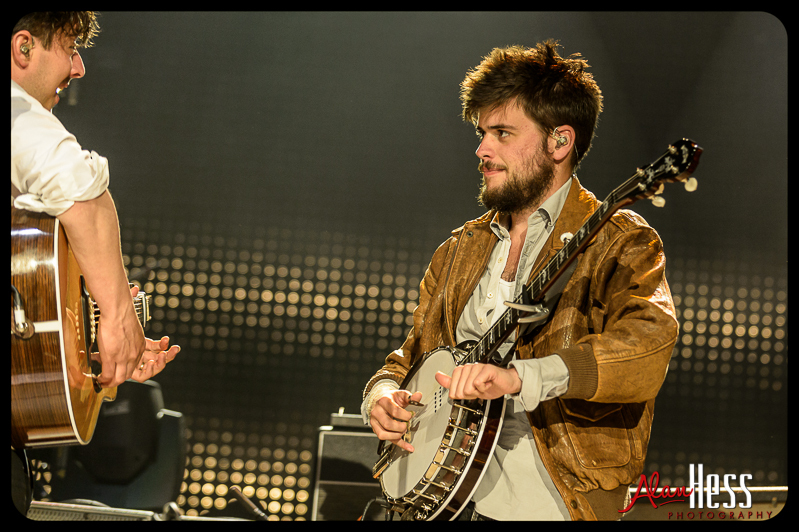 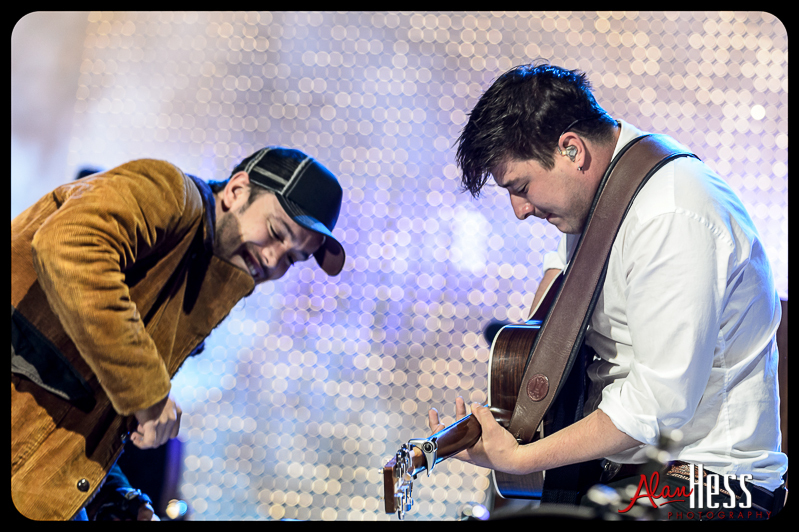 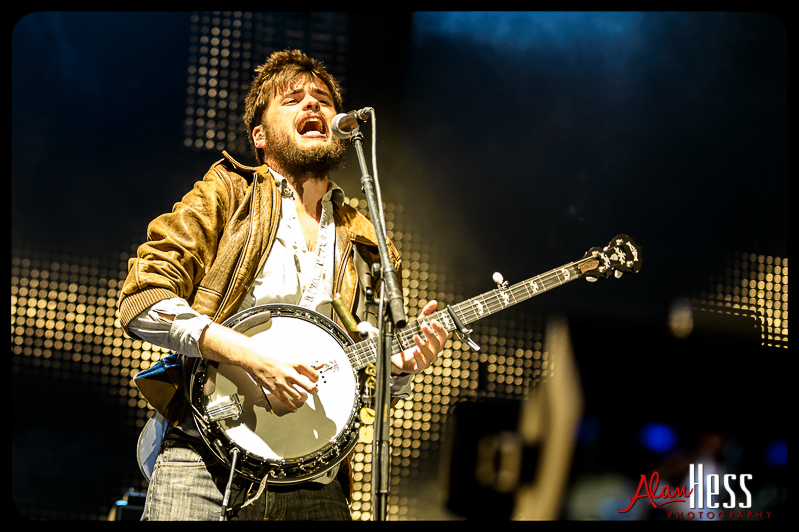 Mumford & Sons are the English folk rock band made up of Marcus Mumford, Ben Lovett, Winston Marshall, and Ted Dwane. 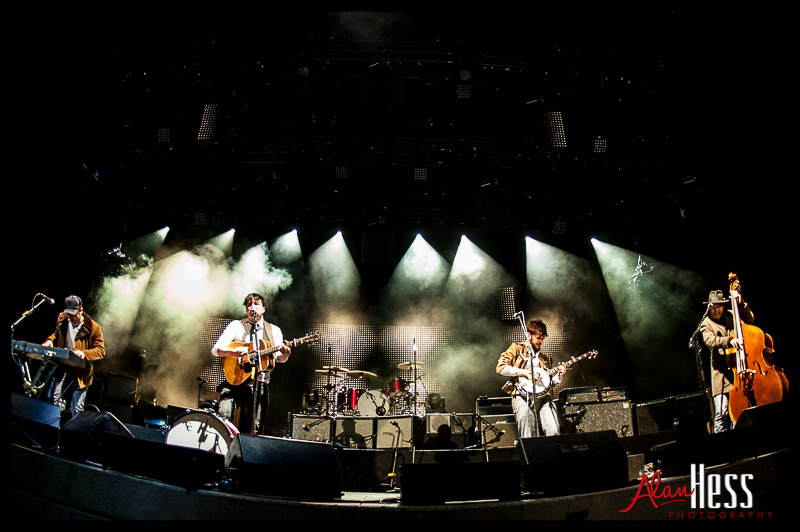 They formed back in 2007 and now seem likely to rule the world. 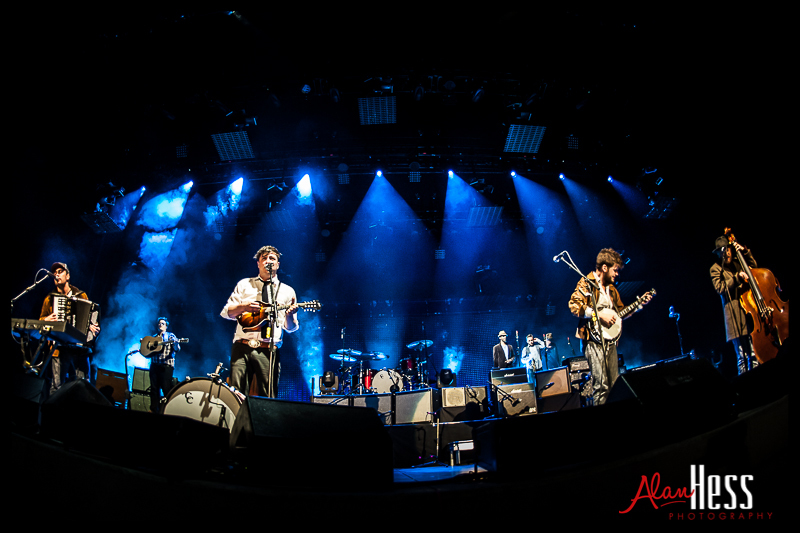 Photographing them had a few challenges. 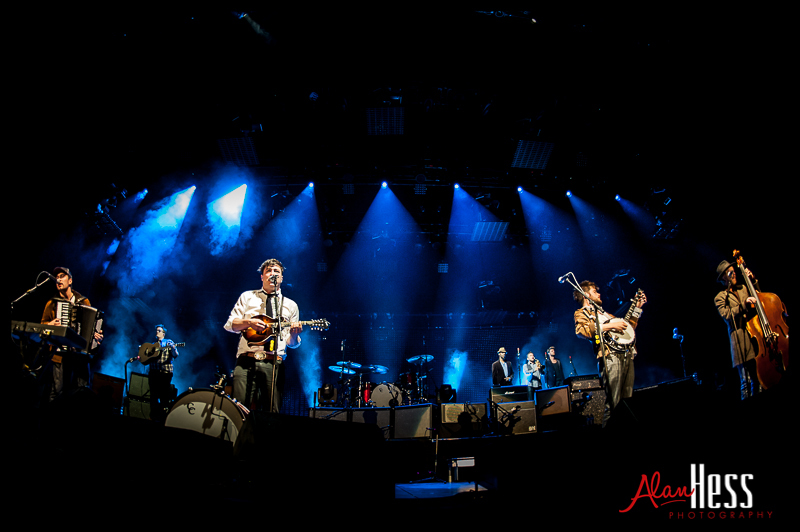 The 4 members basically line up across the front of the stage making it really tough to get the whole band in the same shot. 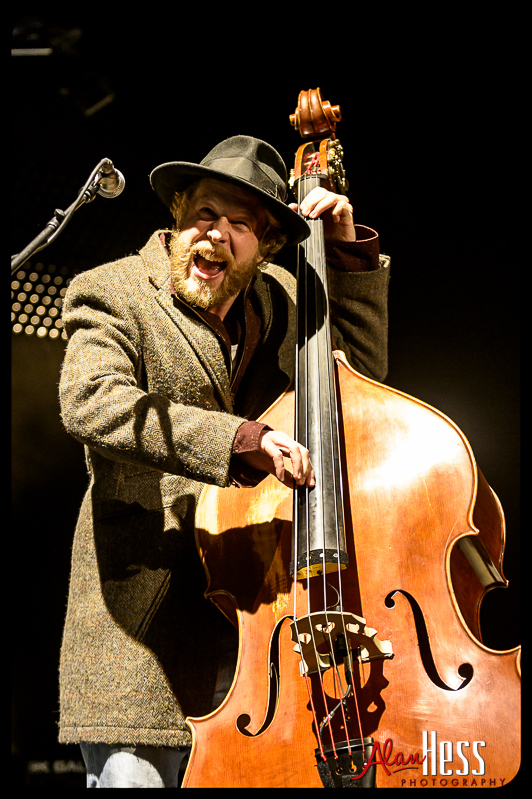 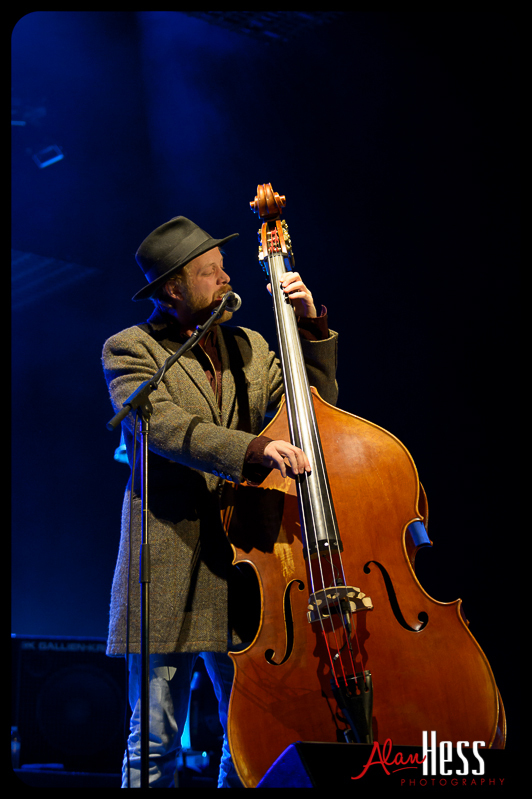 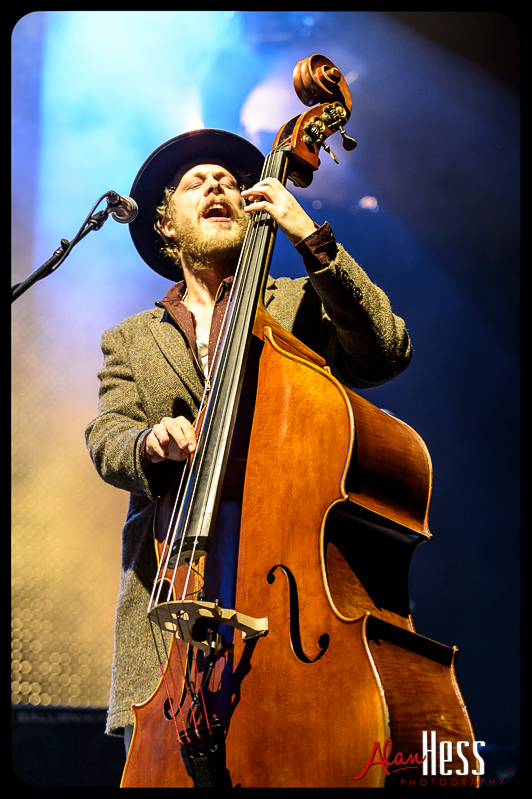 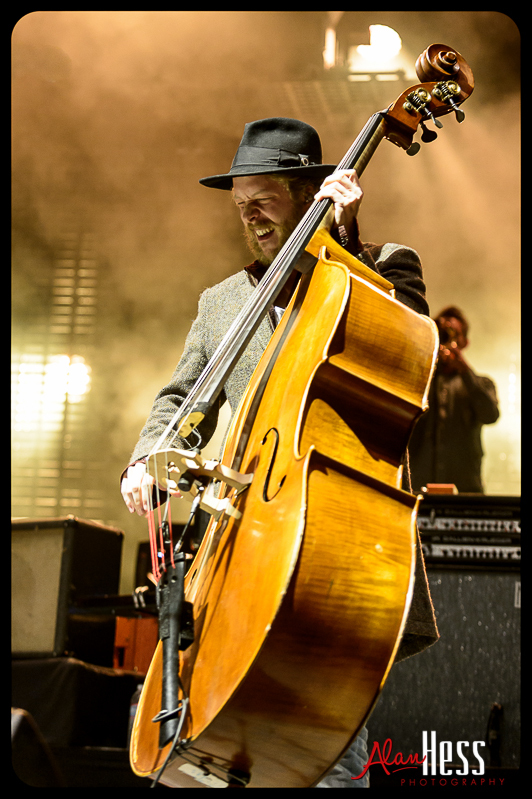 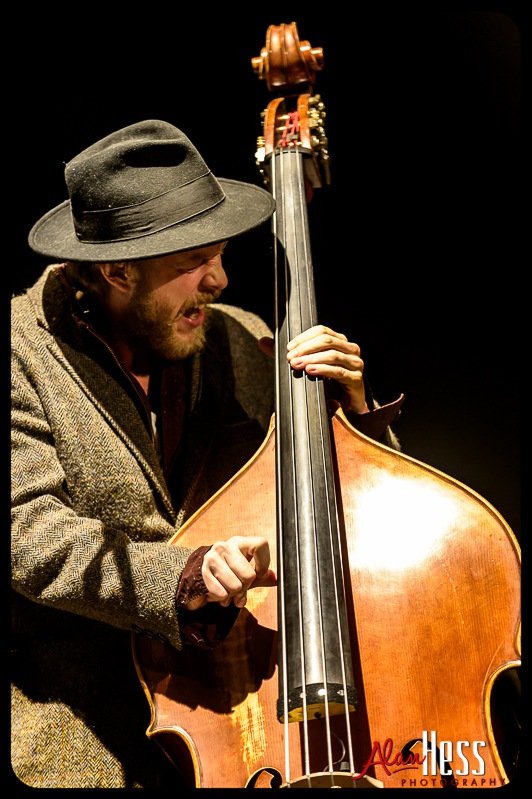 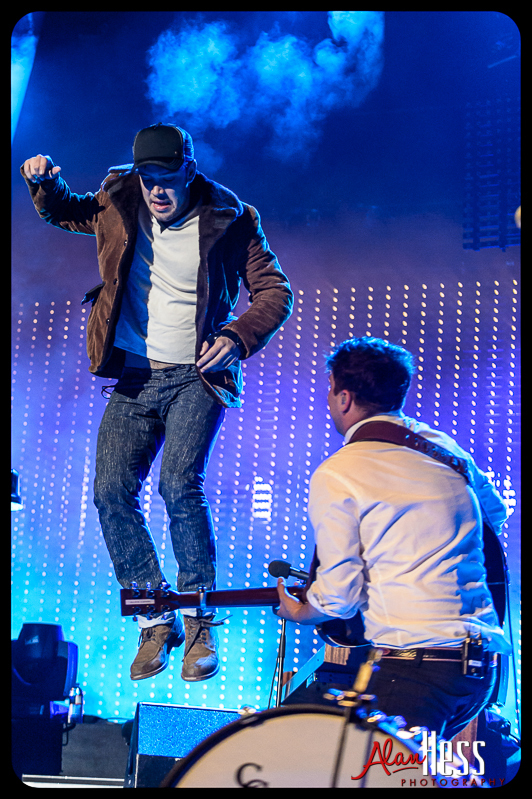 Then there were the microphones… They always seemed to be in the way, especially when it came to Ted Dwane on bass. 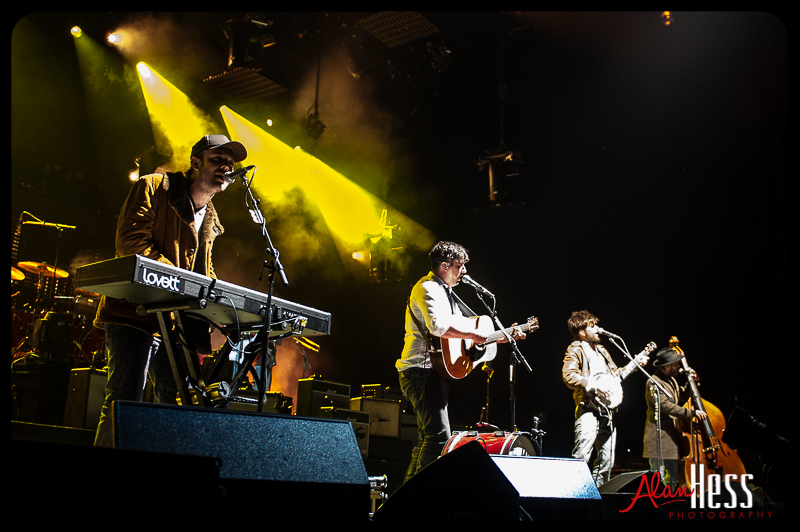 To get the whole band in the same shot, I used my 16mm f/2.8 on the Nikon D700 and tried to get as close to center as possible and waited until the two video guys were as wide apart as possible to shoot a few fisheye frames. 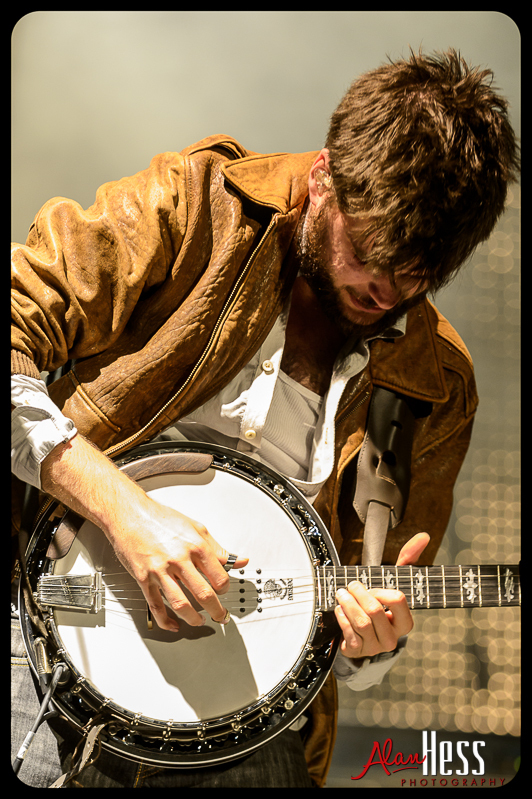 As usual the Nikon D4 was my main body with the D700 as the second. 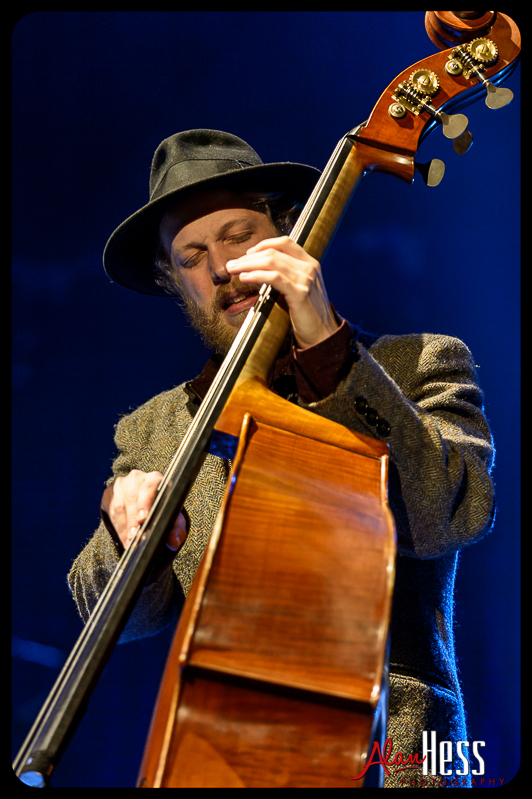 My favorite shot of the night is of Ted Dwane and was taken at a shutter speed way lower than I wanted. 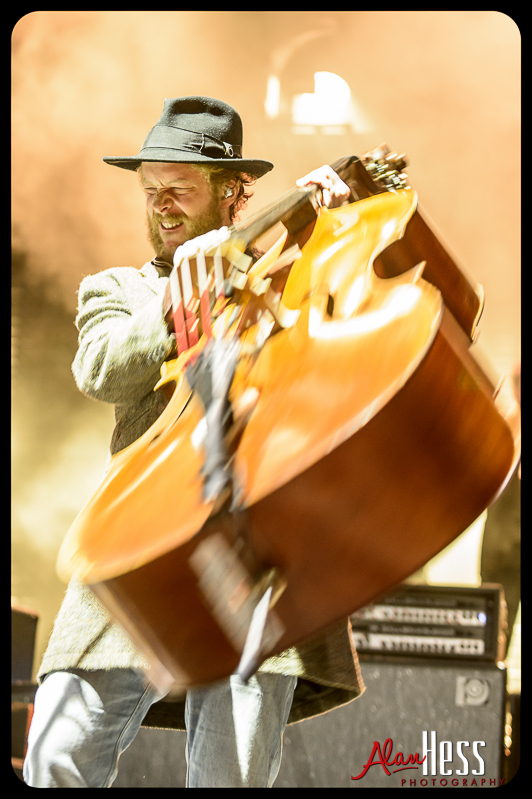 But that lower shutter speed gave me a ton of motion in the movement of the bass and still managed to freeze the facial expression of Ted. 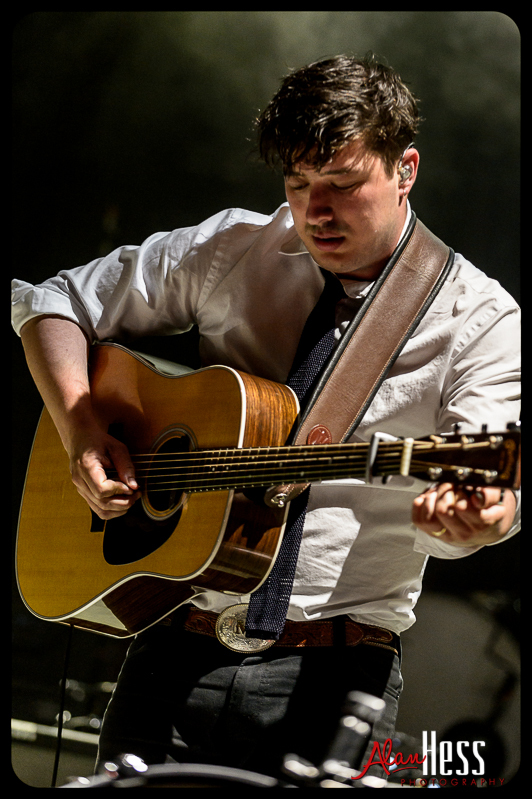 What happened was that the show started out really dark, like no lighting at all. 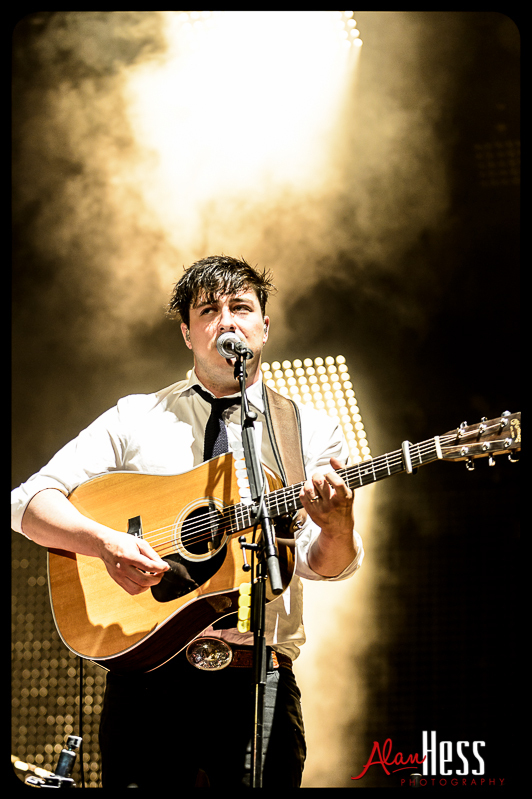 Now, I had been warned that this was the case but I was trying to see if I could get a few silhouette type shots when the lights suddenly came on really bright. 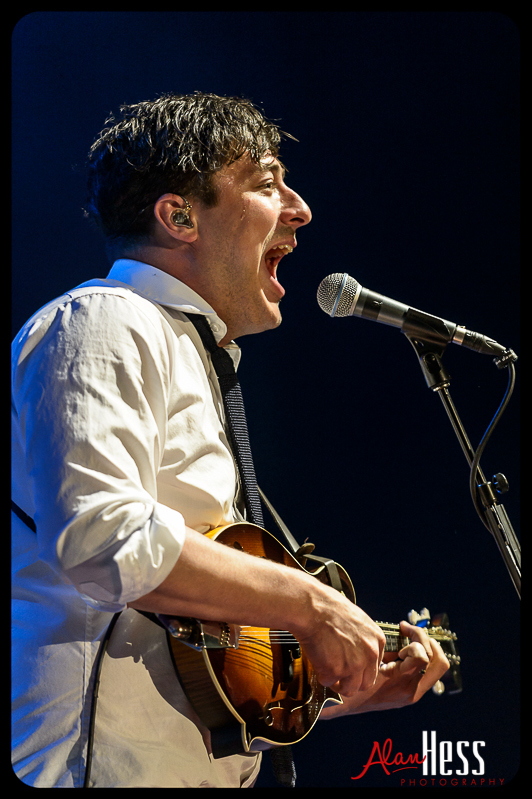 I was focused on Ted and started to shoot frames as I increased the shutter speed.